The event was created as a tribute to National Hunting and Fishing Day and is one of the largest celebrations of its kind in New York State. 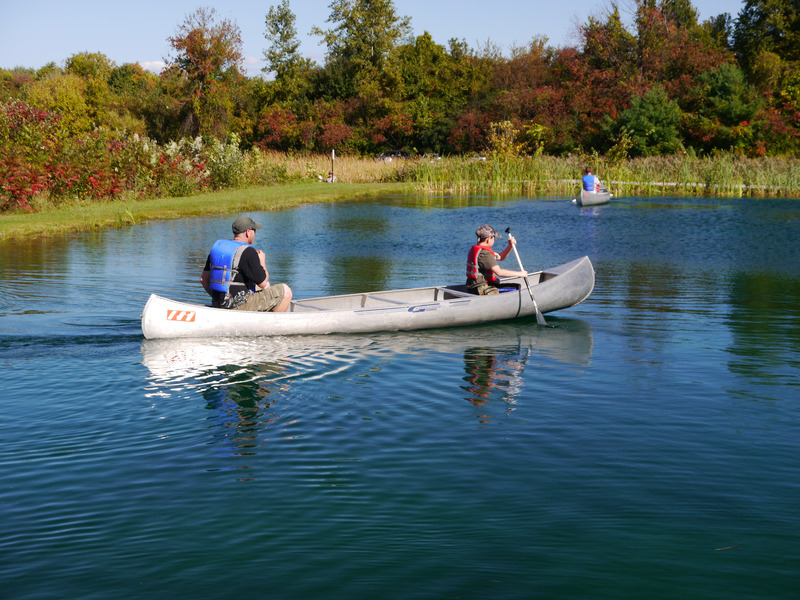 A variety of outdoor activities, suitable for all ages, are scheduled throughout the two day event and include clay target shooting, trapping, waterfowl identification/calling, turkeycalling, predator calling demonstrations, archery, air rifle, fly fishing, trout fishing demonstrations, jig tying, canoeing and muzzleloading. There will be demonstrations by woodsmen, local wildlife artists, authors, retriever and pointer dog trainers. In addition, conservation officers, forest rangers and Eddie Eagle (mascot for NRA's Eddie Eagle Gun Safe program) will make appearances. Wild game/fish cooking demonstrations by professional chefs and Hall of Fame sportsmen and primitive pursuits tanning animal skins using natural materials, fire starting and survival will be on display along with birds of prey, live pheasant and taxidermy displays and demonstrations. Click here to see photos from past events. $5 per vehicle. Free for veterans, active military and their families.